Summer is for grilling and with our new grill we’ve been doing a lot of it this summer. We’ve done steaks, chicken, veggies, and burgers. Most of the time when I make burgers, I simply patty the meat along with some spices and my husband throws them on the grill. Every once in a while I get a little crazy and do something different. I’ve been wanting to do a stuffed burger for a while now and I finally ended up doing it the other day. 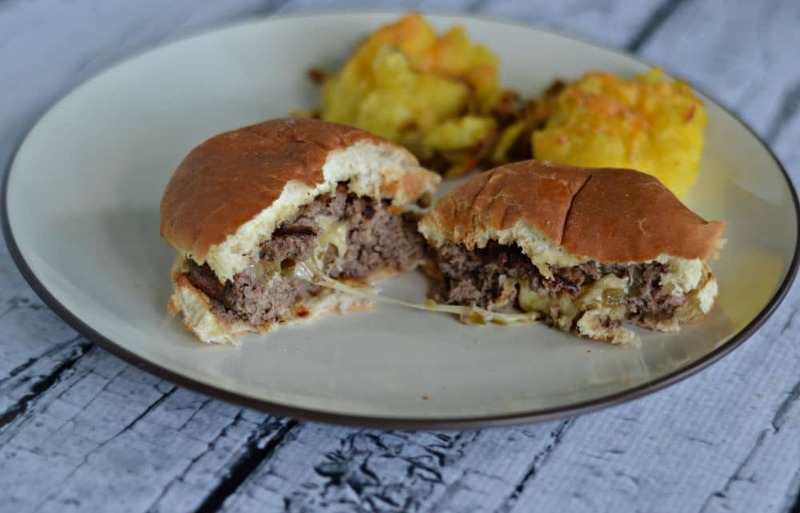 I’ve read several different ways to make a stuffed burger including making two patties and sealing them together, rolling the beef into a ball and stuffing the filling inside, or making the burger and pushing the filling into the middle then sealing it. The first thing I had to do was choose something to fill the burger with. We are huge jalapeno cheddar fans and when I looked in the refrigerator I saw jalapenos and Kerrygold Dubliner cheese. I figured the Dubliner would be perfect because I could cut it into the size I needed to fill the burgers. I started with my favorite burger base of 85% lean ground beef, Worcestershire sauce, steak seasoning, and some salt and pepper. Then I rolled the burgers into balls, pressed thumb in the center, and stuffed chopped jalapenos and thin slices of Kerrygold Dubliner cheese in the middle. 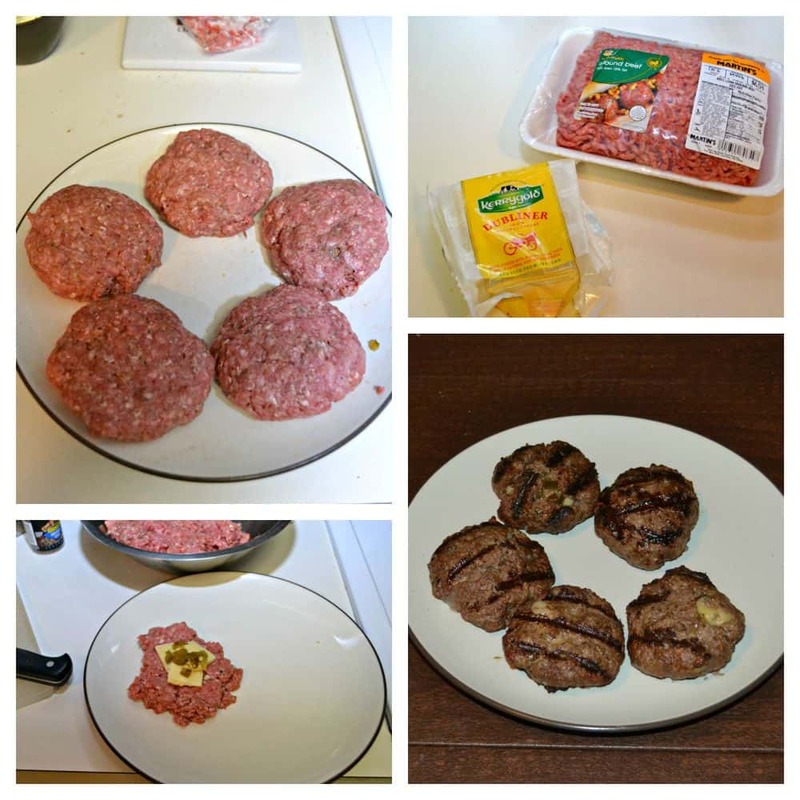 I then rolled the beef back over the cheese, sealed them up, and pressed them into burger patties. My husband grilled the burgers on the new grill. They heated up quickly. While most of the filling stayed in the middle, a little bit leaked out of one of them. Otherwise they looked like your average burger. When my husband brought them in the house I couldn’t wait to bite into them and see how they tasted. 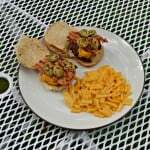 The beef was seasoned well and when I bit into the burger it had a nice layer of jalapenos and Dubliner cheese. 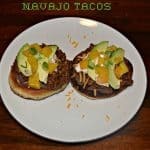 The jalapenos added some spice while the Dubliner added creaminess and flavor. It was really a delicious burger that both my husband and I enjoyed. 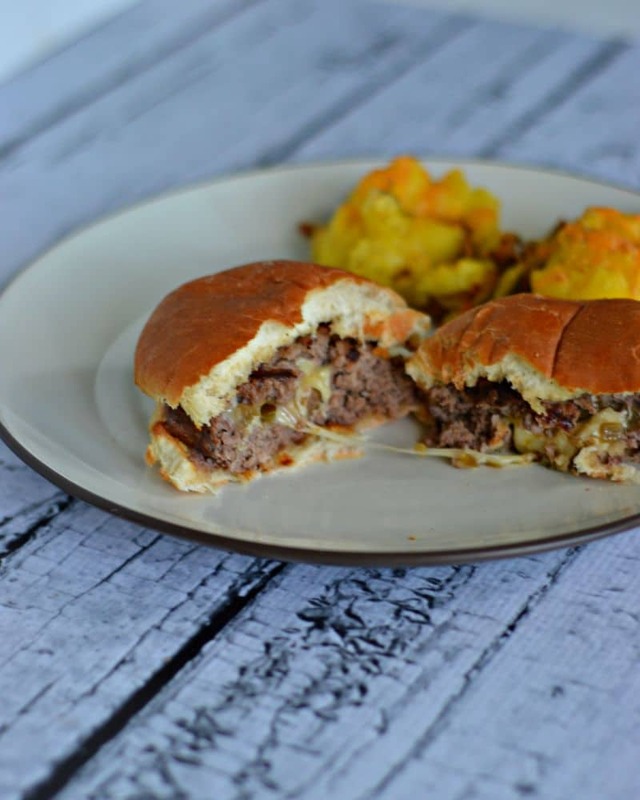 A flavorful and juicy burger stuffed with chopped jalapenos and Kerrygold Dubliner cheese. 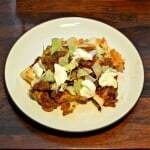 In a large bowl combine the ground beef, A1, Worcestershire sauce, Montreal steak seasoning, black pepper, egg, and garlic cloves in a large bowl. Mix the ground beef with the seasonings until they are well combined. Roll the ground beef mixture into 5 balls. Place several slices of thin Kerrygold Dubliner cheese along with a teaspoon or a little more of jalapenos. Roll the beef over top of the filling and then pat into a patty. Repeat with remaining burgers. Heat a grill to medium high. 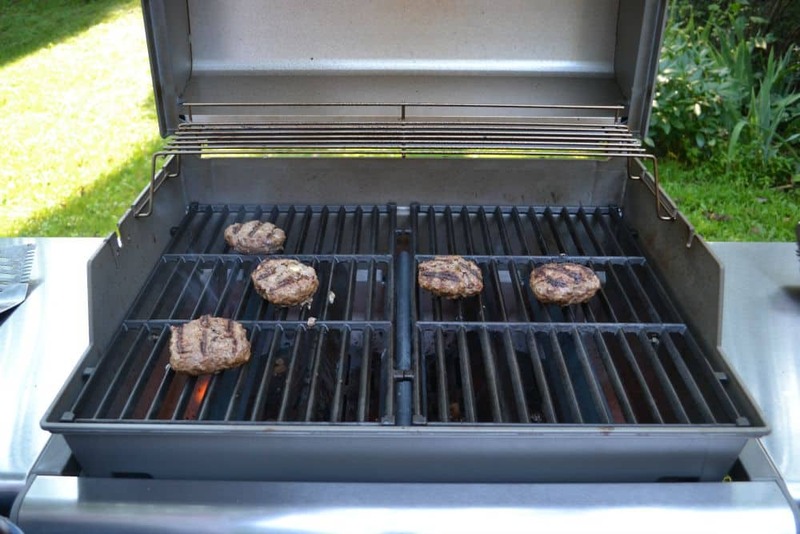 Cook the burgers for 5 minutes per side or until they are cooked through. 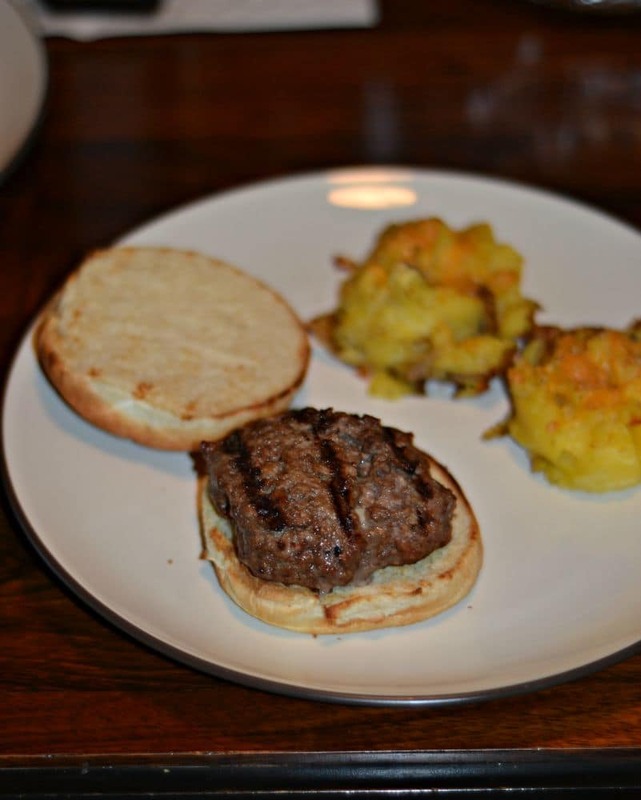 Remove the burgers from the grill and place on a bun. Enjoy with your favorite condiments. I was provided product from Kerrygold but all opinions are 100% my own.